The home of the Chiefs will serve as a temporary home for three of musi’s biggest names this year. Kansas City will host at least three major Arrowhead Stadium concerts. 2018 should be a great year for live music at the stadium! First, Kenny Chesney will perform in July. Second, Taylor Swift will take the stage in September. 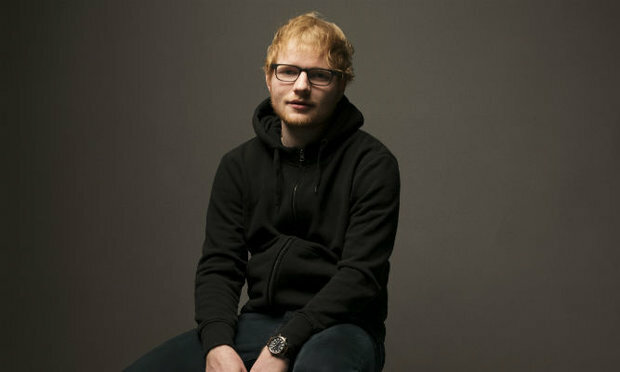 Finally, Ed Sheeran will headline and October concert. Kenny Chesney and Taylor Swift will both be performing Arrowhead Stadium Concerts this year. Photo courtesy of ABCnews.go.com. Kenny Chesney will be back in KC on July 14, 2018. The Chesney show has become an annual summer tradition at Arrowhead and this year’s show promises to be a great one. Kenny is well-known for creating a great all-day event. This year, Chesney will bring Thomas Rhett, Old Dominion and Brandon Lay to Arrowhead. Stadium concert seating will be in short supply because this summer Arrowhead country concert is always a top-seller. Mega-popular Taylor Swift will take the stage for a September 9, 2018 show. Swift is always a popular attraction in Kansas City. So, this year’s opportunity to watch her perform songs from her new Reputation album should be one of the year’s top events. Taylor Swift concerts feature a great stage show to accompany the music. Therefore, if you can make it out to this highlight among Arrowhead Stadium concerts, you’re sure to have a great time! Ed Sheeran will perform one of the biggest Arrowhead Stadium Concerts of the year. Photo courtesy of Entertainment.ie. Only five years ago, Ed Sheeran was an up-and-coming new artist who did a Kansas City show at the smaller Midland Theater. Less than a decade after that smaller show, he’ll be headlining one of a big Arrowhead Stadium shows. 2018 has been a successful year for Sheeran. Therefore, there’s no doubt that he’ll be one of the music world’s top acts when he delivers his hits to a KC audience on October 13, 2018. If you’re looking to see some of the biggest stars perform in one of the region’s biggest venues, these upcoming Arrowhead Stadium concerts are can’t-miss events. Great tickets will be in high-demand. Tickets for Less can help you with tickets to Kenny Chesney, Taylor Swift or Ed Sheeran!